The Official Hotel for SOUTHERN THUNDER 2017 is the Ambassador Inn & Extended Day Suites in Manchester, Tennessee. The Ambassador is located at 925 Interstate Drive, I-24 Exit 110, Manchester, Tennessee, 37355. They may be reached by telephone at 1-931-728-2200. When calling be sure to ask for the SOUTHERN THUNDER 2017 RATES. Standard guest rooms: Rooms include a workstation with a comfortable chair and Wi-fi internet access so that you can stay in touch with business colleagues and family members while you are away. For your convenience, a refrigerator is also provided in each guest room. Corporate Studios: More spacious than the Standard accommodations. Studios also include a separate sitting area and a microwave oven to make your stay at the Ambassador Inn more comfortable and relaxing. Two-Room Suites: Designed especially for those traveling with families or guests staying for an extended period of time. These apartment-like accommodations are the only of their kind in the area. They include a fully equipped kitchen, extra large workstation, and two televisions within 800 square feet of living space. There are several other motels within 7 - 10 miles of the launch site. The nearest motels are concentrated at two exits. At Exit 110 you will find the Ambassador Inn & Extended Day Suites, Economy Inn, Super 8 and Hampton Inn and Suites. 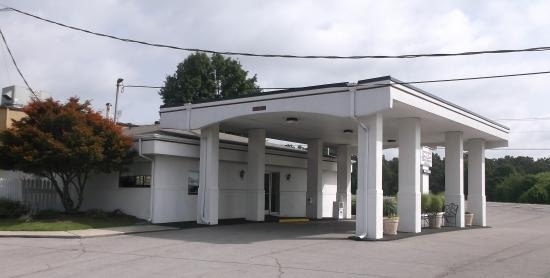 At Exit 114 you will find the following: Microtel Inn and Suites, Park Motel, Budget Inn, Days Inn and Suites, America's Best Value Inn, Red Carpet Inn, Holiday Inn and Express Suites, Comfort Suites, Quality Inn, Sleep Inn and Motel 6.